Cladding Travertine to select walls or passageways not only gives a modern, earthy feel – but a certain depth and texture to a bare wall or area. It draws the eye to a place that might have otherwise been overlooked or forgotten. Travertine Pavers can be customized to just about any size imaginable. For a look that is totally unique, all it takes is a little imagination. 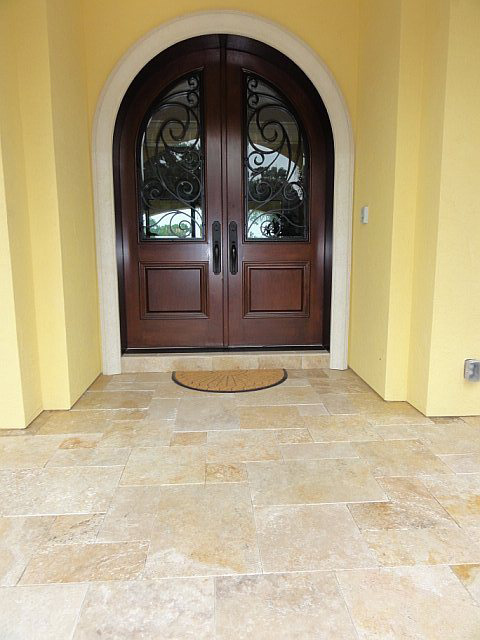 Travertine has a classic look that never goes out of style. Tumbled Travertine Pavers are cooler than you thought!